Despite his debut effort being almost completely ignored by audience's, J Blakeson's "The Disappearance of Alice Creed" caught the attention of many in Hollywood, and now has him on the brink of joining forces with one of today's most successful screenwriters. Blakeson is in talks to direct "Hell and Gone," a film about the Great Chicago Fire of 1871, written by Jonah "Brother of Chris" Nolan, according to The Hollywood Reporter. The famed blaze raged across the Windy City for three days, killing hundreds and laying waste to roughly four square miles of Chicago. Ironically, the fire and the subsequent rebuilding it necessitated is credited by some for spurring the city's economic development. "Alice Creed" is a taut, well-crafted three-person drama about a wealthy young woman, played Gemma Arterton, who is held for ransom by two men, one of whom is very close to her. As the drama unfolds, and the players are revealed, we find the characters pushed into their own corners, suspicious of the other two. 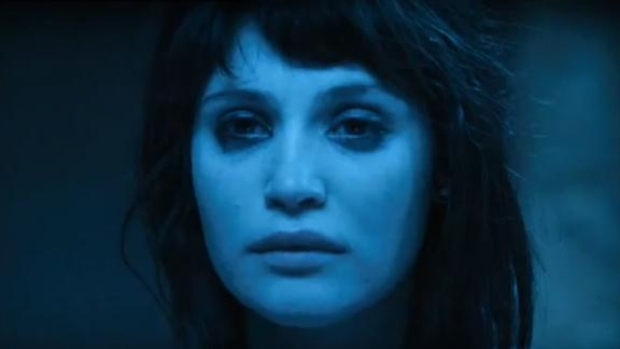 OK, it's been kicking around, but now it's back -- Gemma Arterton ("Clash of the Titans," "Prince of Persia") is kidnapped and held for ransom in this thriller from writer-director J Blakeson. After her initial terror subsides, she forges an alliance with one of her captors and things get hairy. Showing at Tribeca. It's great to see a guy like Blakeson, who a made a very good movie, get the break he deserves, especially when you consider the abysmal business "Alice Creed" did at the box office. This could also be a big opportunity for Nolan, who has written the story and/or screen play for "Memento," "The Prestige" and "The Dark Knight," but has yet to make a film without his more famous and celebrated brother at the helm.